Climatis is a virtual bodyguard for your skin, featuring the Matisurvie system, a fusion of reviving plant and golden seaweed, to shield the skin against extreme environmental conditions, hot or cold weather, and arid atmospheres. Climatis is a virtual bodyguard for your skin, featuring the Matisurvie system, a fusion of reviving plant and golden seaweed, to shield the skin against extreme environmental conditions, hot or cold weather, and arid atmospheres. 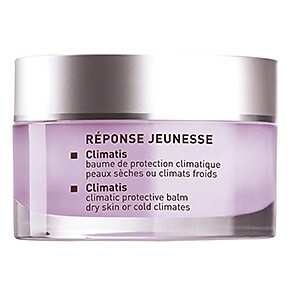 Also formulated with kokom butter and shea butter, Climatis is perfect for dry skin.